Here's our list the best non-technical roles available at tech companies. Note: the application for some of these jobs is only open during certain times of the year. If a job is closed, we've tried to include a link to the best place to find the job once it opens. We did our best to make this list as comprehensive as possible, but there are always more jobs that we couldn't fit here. If there is a tech company you are interested in that’s not on this list, it doesn’t mean they aren’t hiring. Go to their career page and explore! P.S. Want tips on how to get the job? Read below! This is Google’s premiere non-technical program, a two year rotational marketing program. Facebook’s RPM program is similar to Associate Product Manager (APM) programs at other tech companies, but unlike many of those companies, Facebook does not require an engineering background to apply. Facebook's Associate Product Marketing Manager (APMM) Program is a full-time, two-year training and development program to accelerate marketing and leadership skills. You’ll bring products to market, drive adoption, and develop product positioning, external communications, campaign and marketing collateral for Facebook’s 1.8 billion users. Facebook Finance & Business Operations Analyst's will have the unique opportunity to gain invaluable experience across a broad range of functions and have a large impact within a growing Finance organization. You will be deeply involved with a broad range of operational initiatives offering opportunities to interact with management; deliver business analytics and insights; make recommendations for short and long-term decisions; and drive significant contributions across areas including: the corporate planning processes, monitoring financial performance, reporting financial and operational results, and improving existing systems. Similar to Amazon in that there are lots of roles across HR, finance, marketing, logistics, etc. Many are rotational programs, such the marketing one. Amazon has a ton of programs on the business side ranging from finance to HR to marketing to sales and everything in between. Use the link below to stay up to date while the jobs get posted. You will be first and foremost a strategist, using a deep knowledge of the product, a passion for agent success and customer support, and analytical skills to drive improvement for the business, the agent, and the customer. You should have excellent analytical skills, great time-management and organizational habits, a creative and problem-solving mindset, and the ability to clearly communicate and present key findings to leadership. As an Associate Product Manager (APM), you will have a unique opportunity to dig in to different challenges across the company, gain deep insights, connect with our users, and use this knowledge to not only rethink our existing solutions, but pave the way for our future decisions. The Lyft APM Program is an 18-month long program where you will join three teams across our entire Product organization for 6-month rotations. Applications should open every January 1 for KPCB’s Product Fellows Program, which involves a one-year fellowship as a product manager at one of KPCB’s portfolio companies. Previous Product Fellows have worked at companies including Uber, Square, Zynga, DocuSign, One Kings Lane, Kinsa, AppDynamics, and Drawbridge. In the past, KPCB has shared advice on how to apply successfully. As a product manager, you’ll have an impact on a variety of products crucial to Dropbox’s strategy by both setting vision for your team, and getting hands on with execution. In doing so, you’ll collaborate with other extraordinary product managers, engineers, designers, and diverse business functions like sales and marketing. Ultimately, to achieve growth and scale for Dropbox, you’ll develop new product initiatives, drive their implementation, and own their outcomes. This program involves four six-month rotations including Corporate Development (M&A), Business Operations & Strategy, Sales Operations & Strategy, Product Strategy, Product Finance, Sales Finance, and Investor Relations. LinkedIn’s Business Leadership Program – Global Sales is a 6-month rotational program designed to identify, inspire and develop LinkedIn’s future leaders. Your first week will focus on building a foundational knowledge of what matters to us most&colon; our mission, culture, and leadership. You will then spend 6 months rotating through Global Customer Operations, Business Bootcamp and Talent Acquisition before moving into a full-time sales role. Workday Associate Product Manager's will drive new projects on existing products. You will be creating project roadmaps and collaborating with cross-functional groups to roll out the latest and greatest features on Workday’s diverse platforms. Workday Financial Analysts will develop, interpret and implement financial concepts for financial planning and control. Performs technical analysis to determine present and future financial performance. Gathers, analyzes, prepares and summarizes recommendations for financial plans, acquisition activity, trended future requirements and operating forecasts. Performs economic research and studies in the areas of rates of return, depreciation, working capital requirements, investment opportunities, investment performance and impact of governmental requirements. Workday Associate Consultant roles work on project teams to help Workday customers implement our growing catalog of global, cloud-based applications. Learn how to apply Workday’s implementation methodology and technology to customers of all sizes and in any sector, including manufacturing, healthcare, financial services, education, biomed, technology, and others. We’re looking for a Corporate Sales Representative for the Corporate Sales Development (CSD) team. This team will offer you an opportunity to develop effective prospecting and selling strategies while making long-standing relationships with potential customers. You will be at the forefront of Workday’s growing influence in the market, as you position Workday as a viable alternative to business software solutions that are chained to the past. Asana's APM program looks for entrepreneurial minds to help shape and improve both our product and this inaugural APM program. You’ll rotate between teams and take on company-wide responsibilities. You’ll also gain mentorship in key skills: how to lead a team, product design, customer research, data analysis, communication, and launching products. The product marketing team at Asana helps the company succeed by connecting our customer's pain to the Asana solution. We develop clear and compelling messaging that inspires our customers to learn about, try, and adopt our product. We use product launches, campaigns, and experimentation to communicate the Asana narrative, reach new audiences, and drive growth across the funnel. As close partners with the product and sales teams, product marketers at Asana collaborate to bring new features to market and connect customers to the value of our product. We are looking for a product marketer to help us scale our efforts across the team. You'll take on core product marketing work like managing the launch calendar, sharing product updates internally, and bringing new features to market. RAP involves an initial eight-month rotation followed by two six-month rotations. Rotations include time in Product, Sales, Customer Success, Marketing, Business Operations, or Business Development. Everyone at Visa works with one goal in mind – making sure that Visa is the best way to pay and be paid, for everyone everywhere. This is our global vision and the common purpose that unites the entire Visa team. As a global payments technology company, tech is at the heart of what we do: Our VisaNet network processes over 13,000 transactions per second for people and businesses around the world, enabling them to use digital currency instead of cash and checks. We are also global advocates for financial inclusion, working with partners around the world to help those who lack access to financial services join the global economy. The New Graduate Development Rotation Program (NGDP) is a two year program with four six month rotations through Visa’s functions. The NGDP program supports Visa’s mission to build a strong entry level pipeline of talent with cross-functional knowledge and experience. Associates rotate through various parts of the business, including but not limited to&colon; Digital Solutions, Marketing, Processing, Product, Sales and Strategy. In addition to meaningful rotations, Associates are given training & development, mentoring, networking and leadership exposure. The Human Resources Development Program (HRDP) is a three year program with four nine month rotations through Visa’s HR functions. The HRDP supports Visa’s mission to recruit and develop future HR leaders with cross-functional knowledge and experience. The program provides exposure to multiple areas of Human Resources including Talent Acquisition, Talent Management, Total Rewards and HR Consulting. In addition to meaningful rotations, associates are given training & development, mentoring, networking and leadership exposure. The HubSpot Leadership Rotational Program is a two-year program for graduating seniors and an accelerated path toward marketing leadership. This full-time position rotates through three different roles, each eight months in duration, starting in Technical Support followed by two rotations in Marketing. Similar to Microsoft and Amazon, there seem to be lots of non-technical roles for new university grads. You’ll spend your first 2 years as a rotational product manager at Intuit where you’ll get the opportunity to work on a new high-impact project in a different business unit every 6 months to prepare you to become a product leader of tomorrow. Example projects range from creating a new mobile app to launching a product into a new country. You’ll also receive professional development through mentoring and coaching from product executives, and you’ll get the chance to bond closely with other rotational PMs. After the two-year program, RPM’s will no longer rotate and officially join a product team. Groupon is looking for a data-driven Product Manager to grow the consumer base for Groupon+, a new and easy way to experience and save at restaurants around you. We aim to improve the Groupon experience through a voucherless, cash back driven redemption. You will be responsible for identifying gaps in the consumer enrollment area and identifying conversion optimization opportunities to drive sustainable growth. Making a game requires passion, innovation, and creativity. Zynga wants to take exceptional new graduates and turn them into world-class product managers who will be responsible for creating the games of tomorrow. Over 18 months, we’ll place our RPMs into three rotations where you’ll be working alongside our best and brightest to solve some of our highest priority and most challenging business problems. Okay, so now you know where to apply. Now, how do you ace your interview and get an offer? The dirty little secret is that you don’t need a technical background or even need to have ever taken a CS class. But it definitely helps if you understand how technology works at a high level and the business strategy behind it. 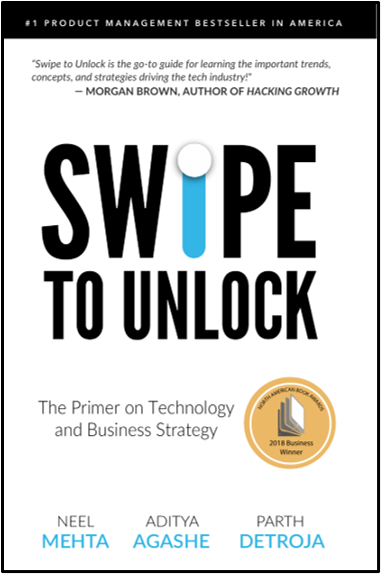 Check out our new book, Swipe to Unlock. It contains the key general tech and business concepts that we think everyone should know to get a non-technical job in the tech industry. Swipe to Unlock copyright © Belle Applications, Inc. 2017-2019.